A Polk County, Florida woman found out the hard way that the state’s laws on drunk driving are actually more expansive than many people assume. Around 2 p.m. on November 2, 2017, she was apprehended in Lakeland for DUI while riding her horse, according to a report from CBS affiliate WTSP Channel 10 News. After receiving multiple calls regarding a confused, possibly inebriated woman on horseback – and traveling along relatively busy roadways – Polk County deputies responded to the scene. Police directed her through a field sobriety test, which she failed; officers also requested breathalyzer testing, which showed the woman to be well over the legal limit of .08 percent. 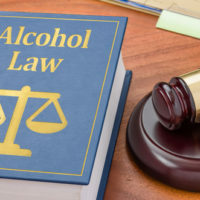 Regardless of the circumstances that may have led to your DUI charges in Florida, here are a few details you need to know about how the law works. The state statute on drunk driving violations includes a broad definition of the term “vehicle.” It can be any type of device by which a person can be transported upon the roadway. Cases arising under Florida law have upheld a DUI conviction where the vehicle was a golf cart, ATV, bicycle – and a horse. Note that, while the statute doesn’t require the vehicle to be motorized for a person to be arrested for drunk driving, there are implications for Florida’s implied consent rule. Your driving privileges cannot be suspended for refusing a breath test if you’re operating certain types of devices. The laws which create implied consent duties and provide for driver’s license suspensions specifically use the term “motor vehicle.” A horse or bicycle would not be covered, so the Polk County woman could have refused to submit to chemical testing. However, operating any vehicle powered by an external source – such as an ATV, boat, scooter, golf cart, and others – could trigger implied consent laws. Mandatory installation of an ignition interlock device on her vehicles for six months to one year. Presumably, the required IID does not apply to the horse. If you’re facing any type of drunk driving charges, you are entitled to your day in court. With the help of an experienced attorney, it’s possible to beat the charges or obtain other positive outcome. To hear more about Florida laws on DUI, please contact Fort Lauderdale attorney Kevin J. Kulik.